I thought I'd also give you a heads up that My Favorite Things is having a great summer sale going on now through the 29th. Just enter SUMMER2013 at checkout to receive 25% off your entire order (excluding the newest release)! I've already shopped the sale. ;) If you want to be sure to get their newsletters about sales and other fun happenings be sure to sign up HERE. Simon Says Stamp Anything Goes Challenge! 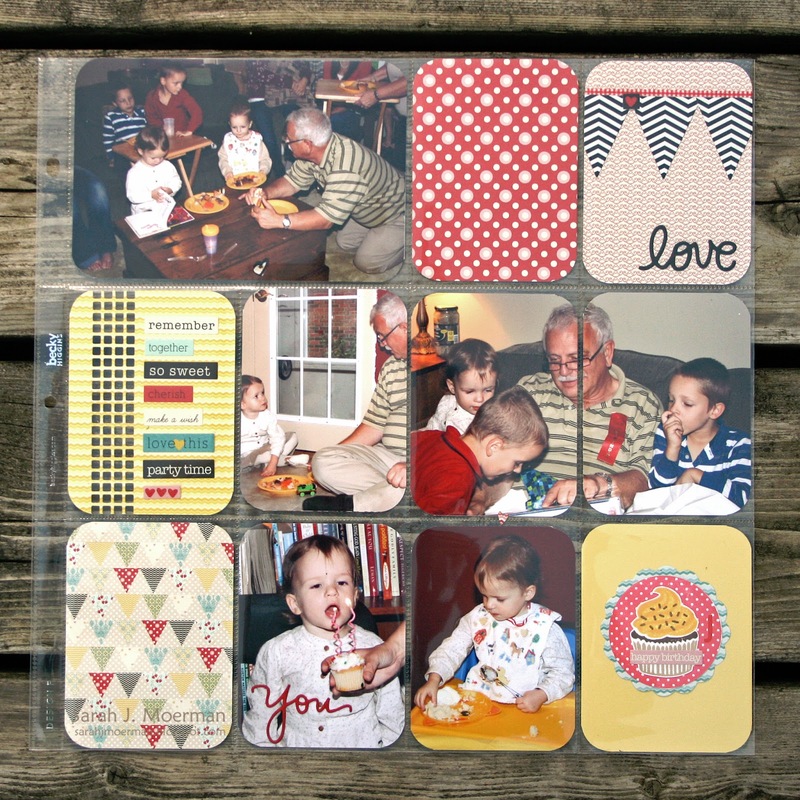 (& July Card Kit winner announced)! 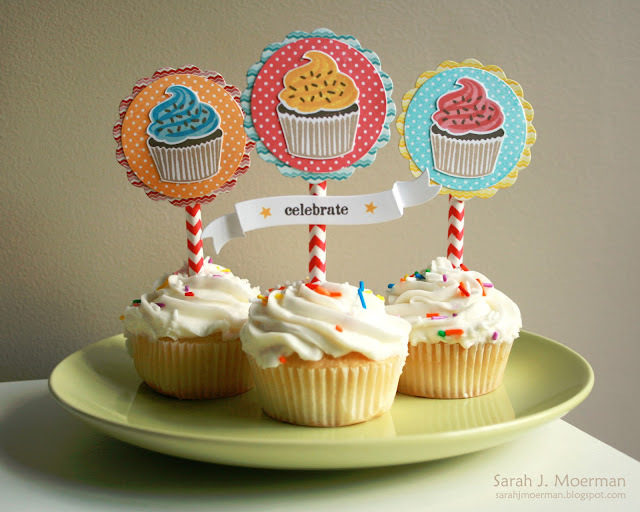 Before I get to today's post I want to announce the winner of the Simon Says Stamp July Card Kit: Summer Party. This week's challenge is Anything Goes and the design team is featuring Craftwork Cards Candi dots! 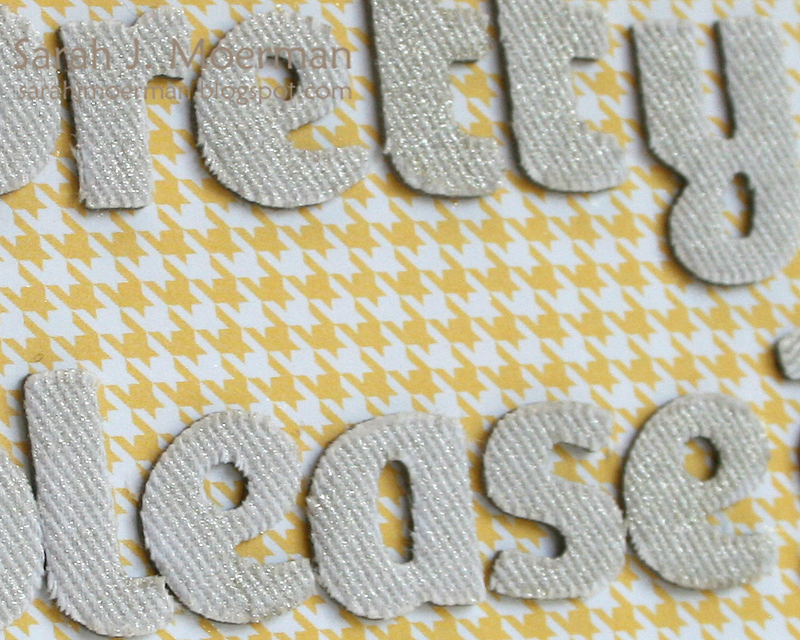 As you can see I used the Candi dots to continue some of the circular pattern from the patterned paper onto my tag. 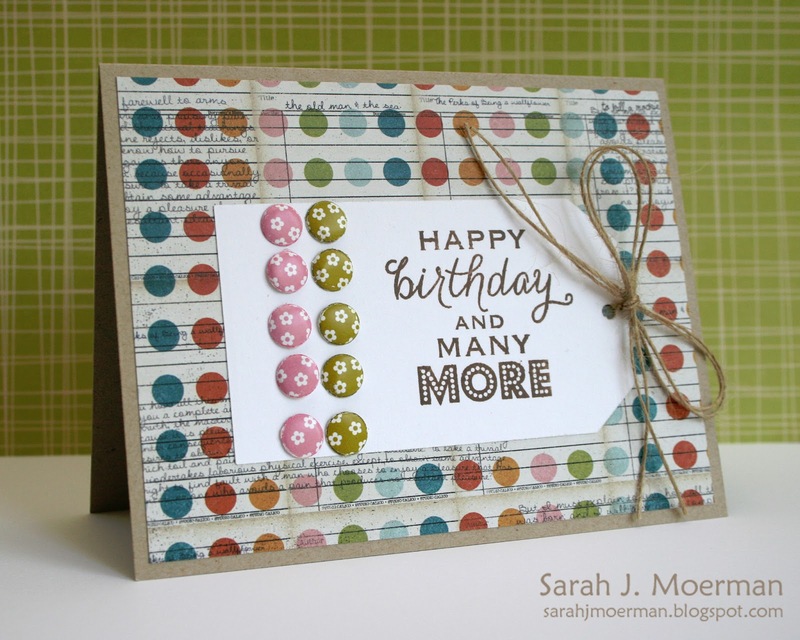 Supplies: Craftwork Cards Candi Dots! 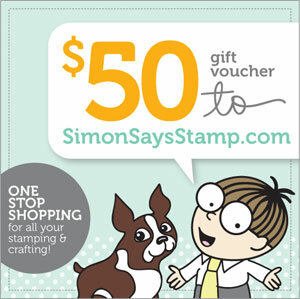 Up for grabs is the usual $50 gift voucher for the Simon Says Stamp store thanks to sweet Heidi! 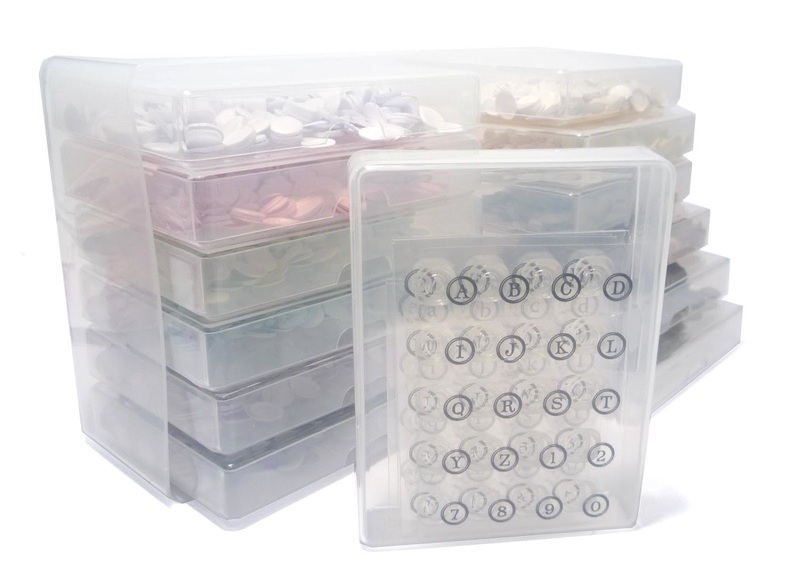 Also, as a special promotion Craftwork Cards are also providing this fabulous Card Candi box with an Alphabet stamp set which are the perfect size to stamp onto the Candi. For all the details and to see what the other designers have come up with please check out the Simon Says Stamp Challenge blog HERE. Happy Monday! I hope you all had a great and restful weekend. 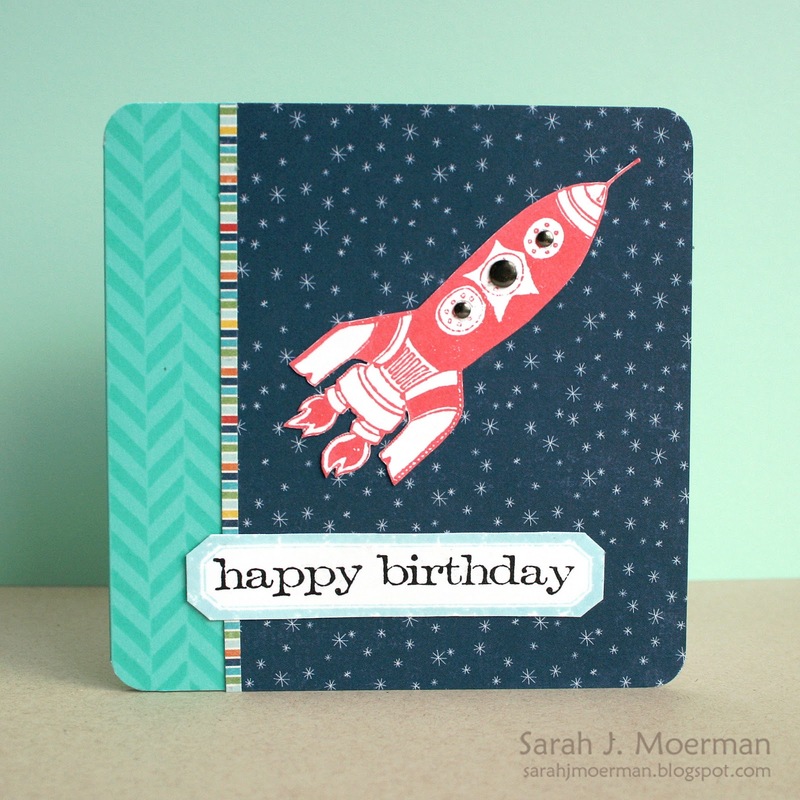 I'm back once again to share another card I made using the wonderful July Card Kit from Simon Says Stamp. Today's card took a bit of work but was fun to make. :) I was inspired by the card Laura Bassen made for Simon Says Stamp Summer School. 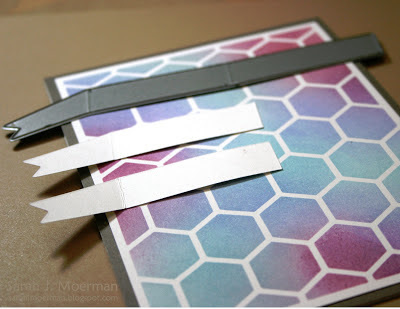 If you watch her video you'll see that she took the Simon Says Stamp hexagon background die and cut it out using an adhesive sheet which she then placed on her cardstock as a mask. She then made another mask using a sticky note to use so she could work on individual hexagons. I used that same technique here but instead of inking in each individual hexagon I used the small 'firework' stamp and a few different inks to creat my patterned background. 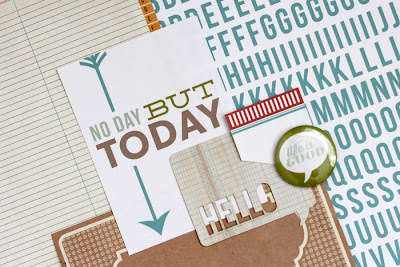 As always sweet Heidi, owner of Simon Says Stamp has provided a card kit from this month for me to give away on my blog! Thanks, Heidi! Just leave a comment on any or all of my 4 card kit posts (this is the final one) and I'll announce a winner this Wednesday, June 26th. 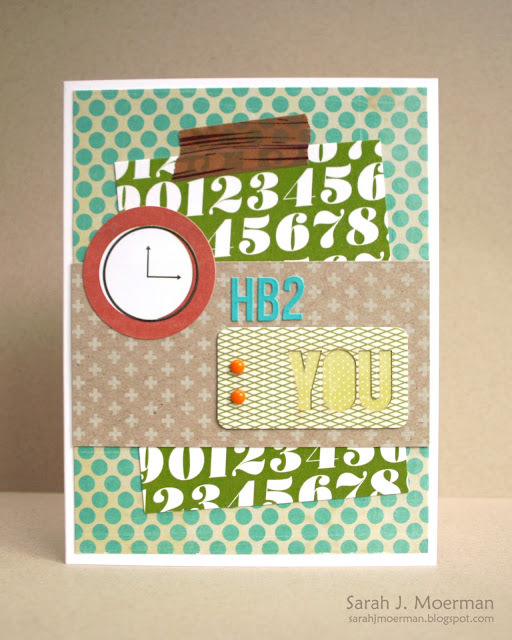 I'm back again to share another project using the fantastic Simon Says Stamp July Card Kit! 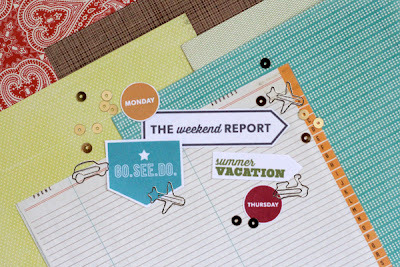 Since I made a card using the Kelly Purkey Project Kit for yesterday's post, I thought it would be fun to use the Simon Says Stamp July Card Kit to make a 2 page Project Life type layout. 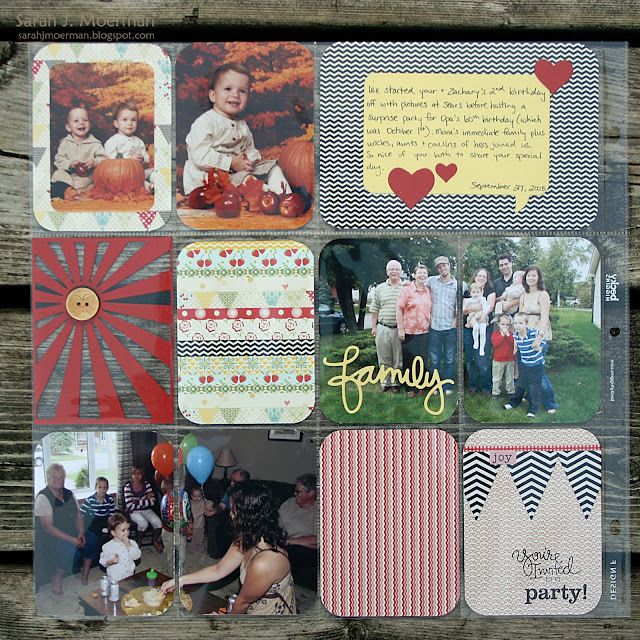 Just a reminder that sweet Heidi, owner of Simon Says Stamp has provided the new card kit for me to give away on my blog! Just leave a comment on any or all of my 4 card kit posts (this is my 3rd) and I'll announce a winner next Wednesday, June 26th. 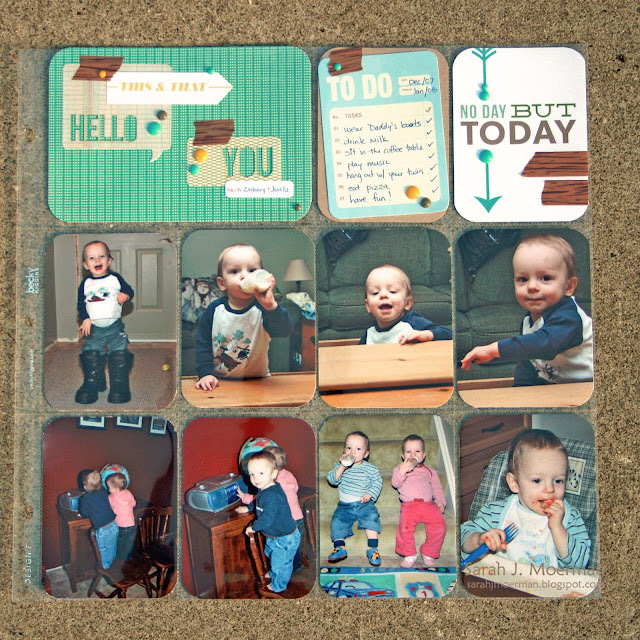 Today I'm stopping by to share a couple of things I've made using the wonderful Kelly Purkey June/July 2013 Project Kit (which is still available for purchase). Ok. Here's my moment of truth. I've really been struggling to get going on my twins' scrapbook albums. Since I've been making mostly all cards I've found it hard to scrapbook. 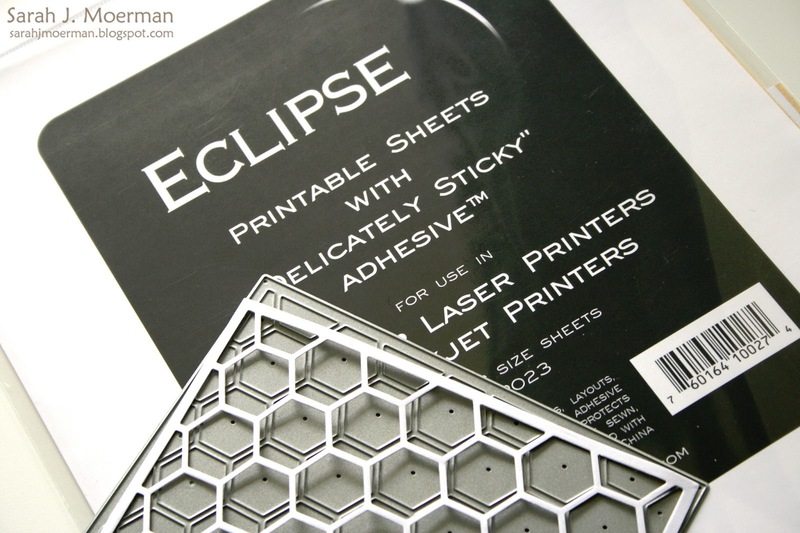 I thought maybe going the Project Life route would be easier because I'd being working with smaller pieces of cardstock just like with card making... I was wrong. Ha! I've got a number of pages all set with pictures but am finding it hard to fill in the 'holes' with journaling and embellishing. 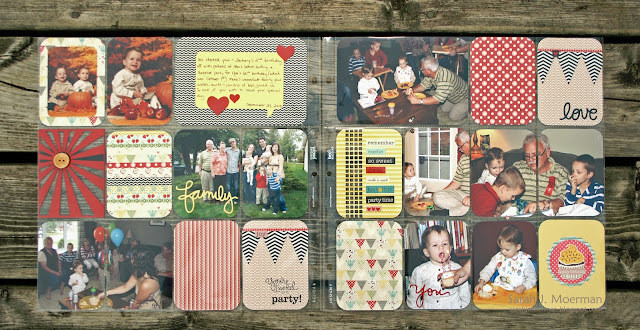 I have bought some inserts, etc from other companies and made a few of my own insert cards but it is still slow going. My good friend Latrice is also playing with Kelly Purkey's kit. Take a look to see what she's made HERE. 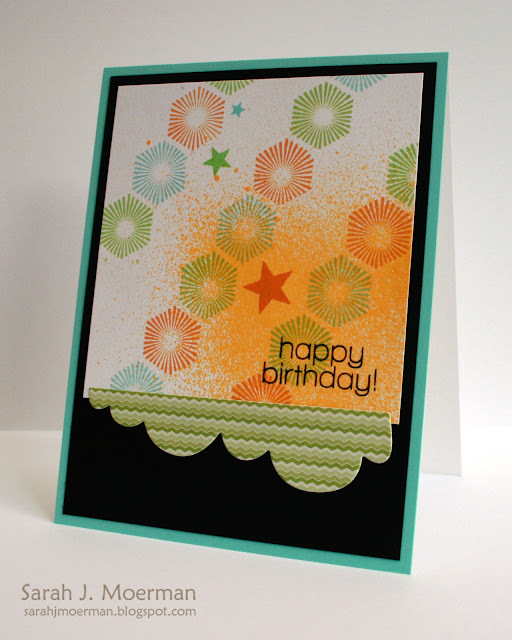 I'm back again to share another project using the Simon Says Stamp July Card Kit! Just a reminder that sweet Heidi, owner of Simon Says Stamp has provided a card kit from this month for me to give away on my blog! Thanks, Heidi! Just leave a comment on any or all of my 4 card kit posts in the next week (this one's my second) and I'll announce a winner next Wednesday, June 26th. 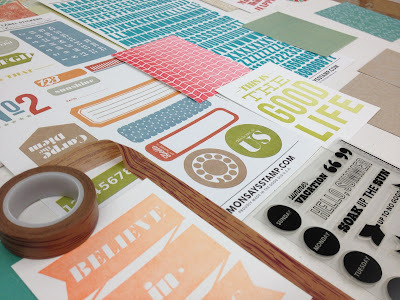 Tomorrow I'll be back to share a couple of projects I made using the Simon Says Stamp Kelly Purkey June/ July Project Kit! 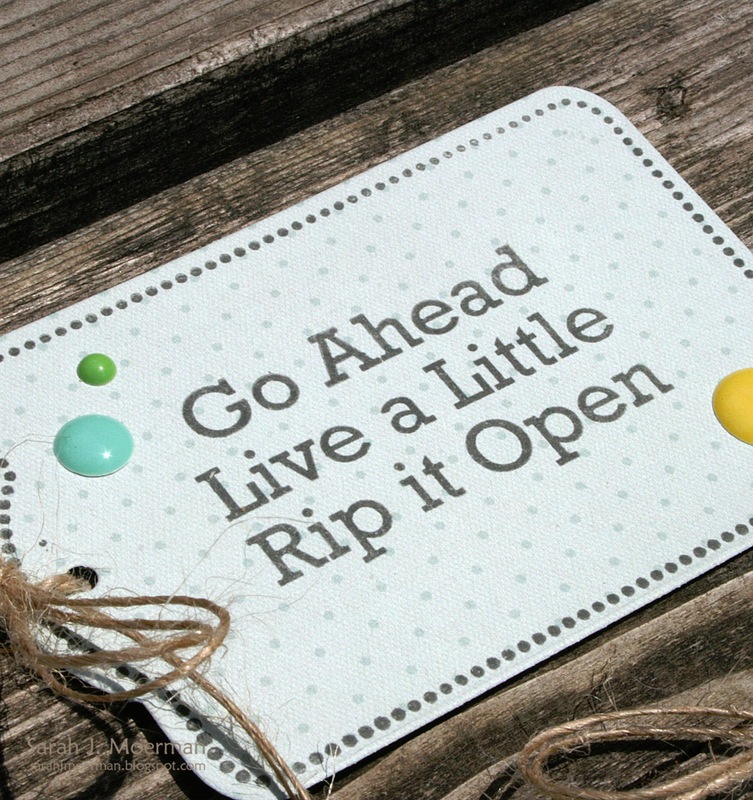 I hope you'll pop over! 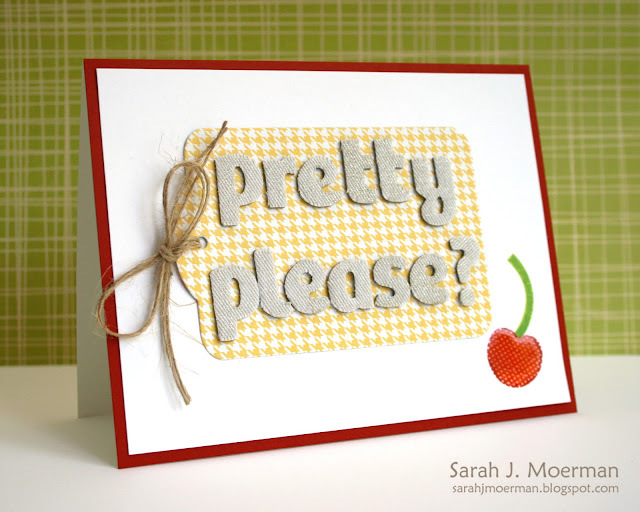 This week's challenge is Summer Fruits and the design team is featuring product from American Crafts. 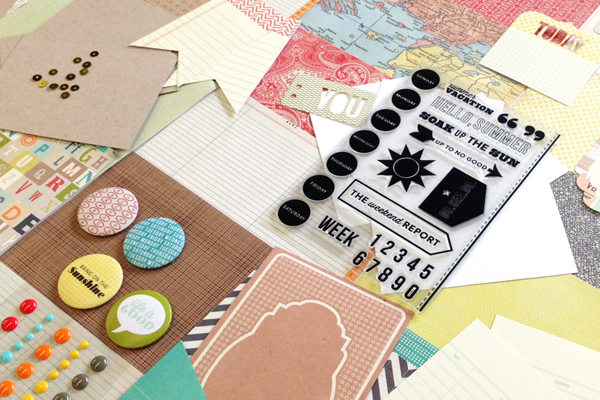 Simon Says Stamp July Card Kit! (& GIVEAWAY)! I hope you've had a wonderful day! Mine was a good day.... one of those days that you can look back on when you're having a rough one and be reminded that things will get better. :) Today the kids did their school work without complaint AND even got some extra work done all on their own. Yay! We're SO close to finishing up our schooling for the year. :) I also got some much needed weeding and other gardening work done. The best part was a 1 hr phone call with the sweetest, most encouraging friend. Angela, if you're reading this, *thank you*. You are a blessing. We really should get together sometime soon. 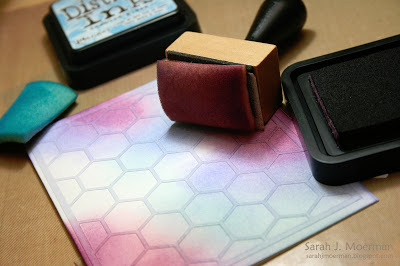 :) Another fun part of the day was the arrival of my Simon Says Stamp July Card Kit! I've dived right in already and made a couple of things. 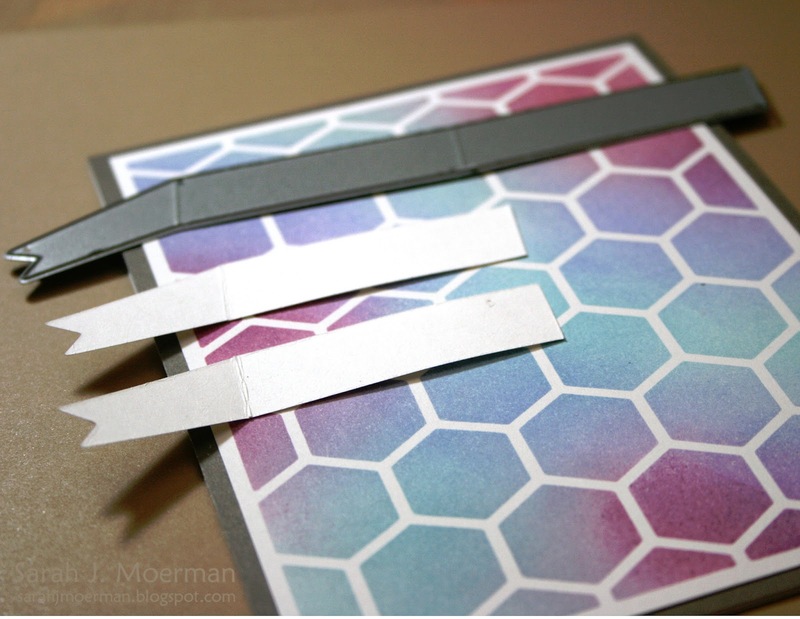 If you follow my blog you *may* have noticed that I try to make at least one card from the Simon Says Stamp Card Kit that kind of goes in a different direction than I feel the kit was intended for. This month's kit screams PARTIES and BIRTHDAYS...so of course I made an anniversary card. Hee hee! 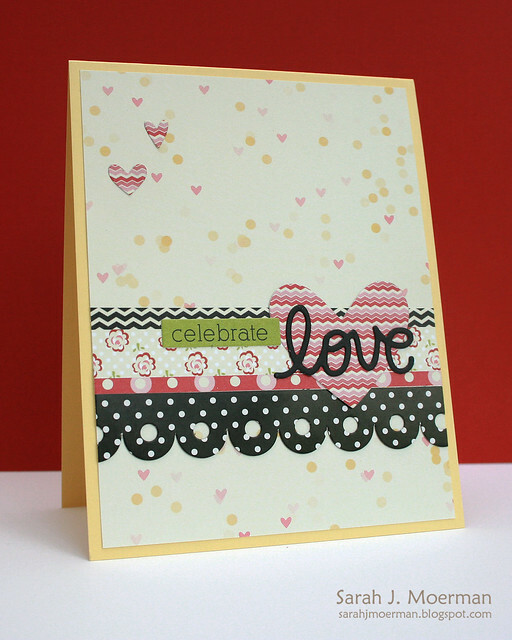 I was inspired by the sweet hearts in the background paper, pairing it with the scalloped edge border sticker, one of the word stickers (celebrate), and some Simon Says Stamp dies. As always sweet Heidi, owner of Simon Says Stamp has provided a card kit from this month for me to give away on my blog! Thanks, Heidi! Just leave a comment on any or all of my 4 card kit posts in the next week and I'll announce a winner next Wednesday, June 26th. I just wanted to pop by and let you know that My Favorite Things has just released some yummy new goodies HERE! I've been looking for some triangle dies for a while so I'm really excited about that! I also love the washi tape dies and think they'll be a great way to use up patterned paper scraps. Paint strokes are so popular right now and I love that My Favorite Things has come up with coordinating paint brush dies! Just a heads up (in case I was the only one who didn't know) that when you order directly from My Favorite Things you can take advantage of a couple of specials HERE. Yay! 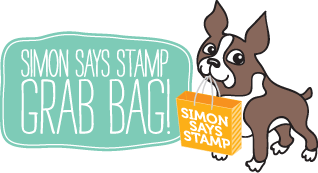 Simon Says Stamp Transportation Challenge! This week's challenge is Transportation and the design team is featuring product from Basic Grey! 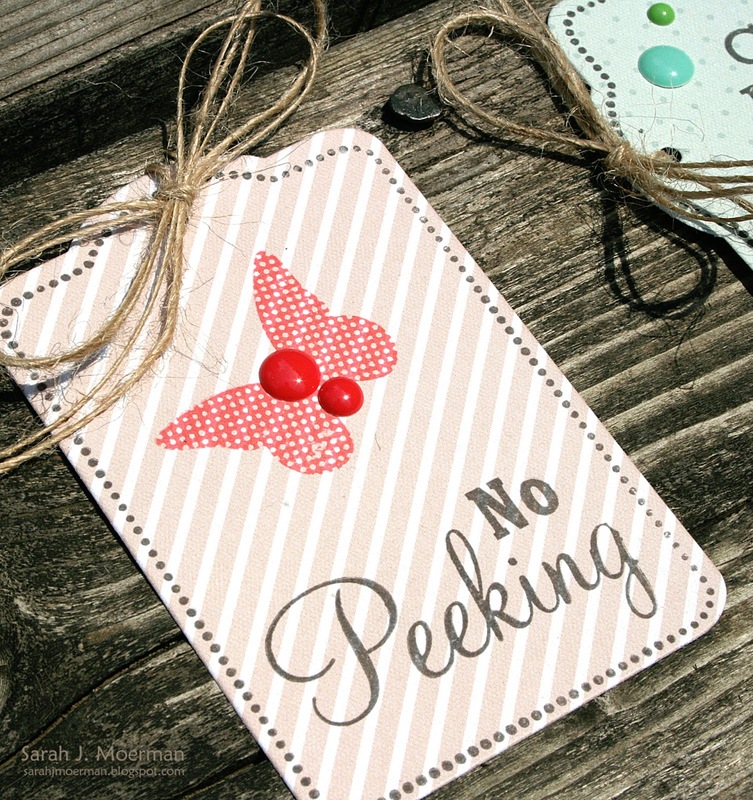 I'm popping in to announce the winner of the grab bag from the Simon Says Stamp Summer Release Blog Hop! The winner from my blog is: Madeline Rains! Congrats, Madeline! Simon will be emailing you. The full list of winners has been announced HERE. 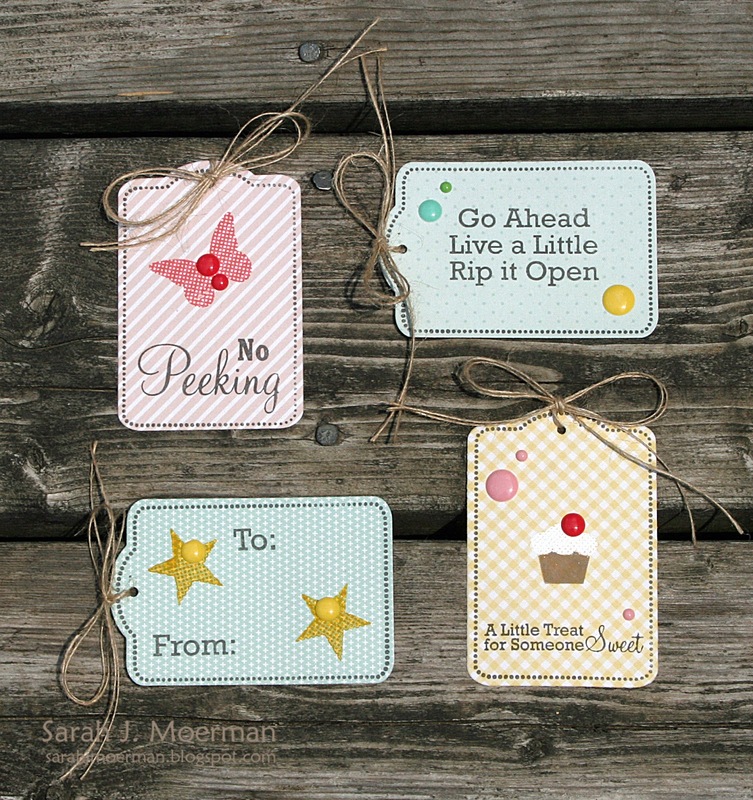 Thanks to everyone for your sweet comments on the blog hop. I really do appreciate them! I used the new Simon Says Stamp Full Card Hexagon die and die cut a piece of Eclipse adhesive sheet. I then removed the backing and put it on a piece of white cardstock to create a mask. I used distress inks to color in the piece before removing the mask. I used the the new Simon Says Stamp 2 Tier banner die and shortened it to make a 1 tier banner.